Want the added strength and performance of our Blow Off Valve but not the biggest fan of the added noise? Search no longer! 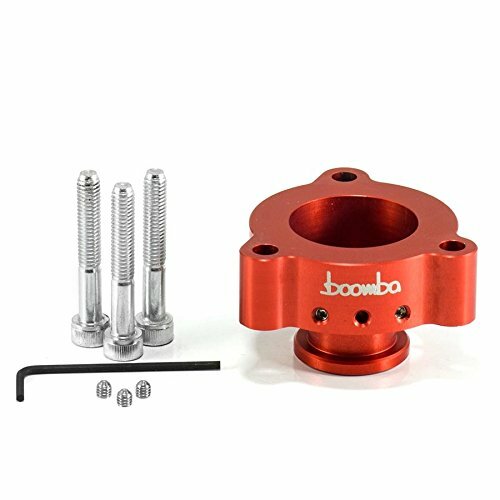 Introducing the Boomba Racing Bypass Valve. This piece is very similar to our Blow Off Valve, but rather than venting to atmosphere, this vents back to intake. Also, for all you Europe Spec/MAF tuned cars: THIS PIECE IS 100% SAFE TO RUN! No aftermarket tuning required. Will work on stock tune or aftermarket tunes. This high performance VTI (vent to intake) bypass valve is precision machined out of aircraft grade billet aluminum. 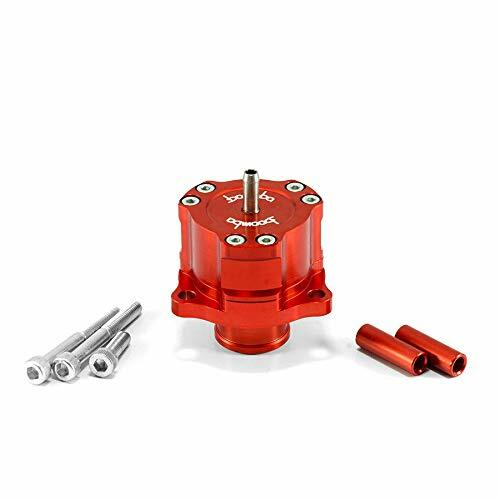 It features an internal brass piston design and is pressure tested to withstand up to 75psi, allowing it to compliment even the most aggressive turbo builds. 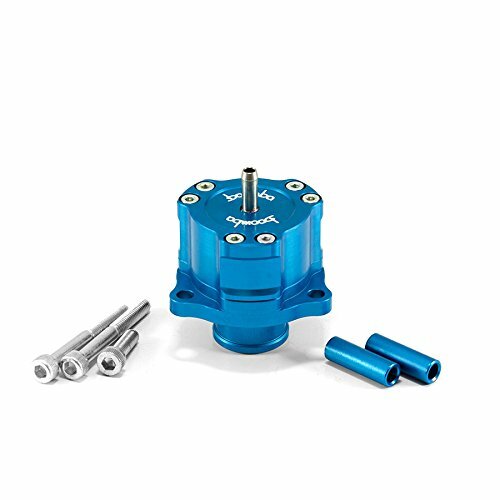 Spring pre-load determines the pressure differential required across the piston before the BOV opens and releases the pressurized intake charge. Designed to be a replacement for the OEM bypass valve and is available in 4 different colors. No adjustment or maintenance is necessary. Installation is simple and all mounting hardware is included. 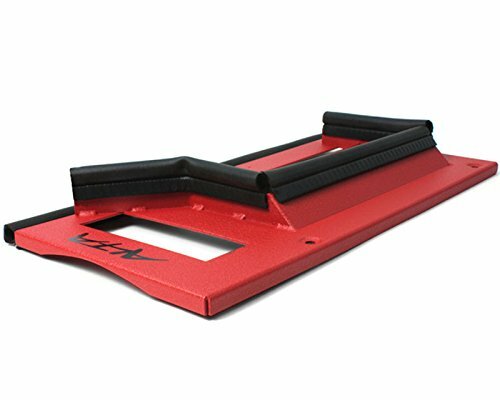 As always this product is designed and manufactured 100% in-house in the USA. 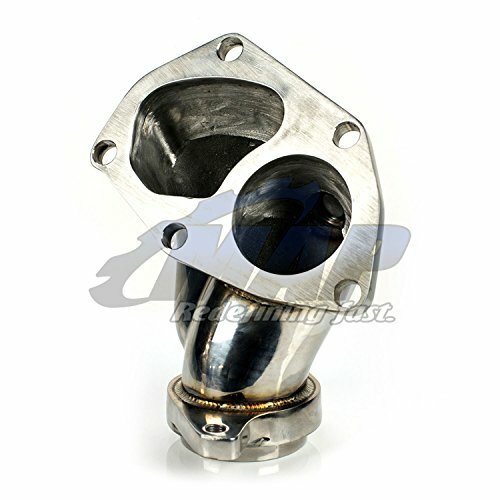 Compatible with ONLY the Ford 2.0L EcoBoost OEM Turbo. Want the added strength and performance of our Blow Off Valve but not the biggest fan of the added noise? You'd better to use a NEW SEAL ring for install this item.Which NOT comes with this order. Made of T304 grade Stainless Steel. Replaces the factory banjo bolt mounted on the top side of the pressure relief valve. Increases fuel rail pressure,Improves engine starting. Replaces the factory banjo bolt mounted on the top side of the pressure relief valve which is on the top of the fuel rail. Prevent the fuel leaking through the relief valve and going back to your fuel tank. Forces the fuel through the injectors and not back to the fuel tank. Saves you Horsepower and fuel. Easy to install. It can be installed in less than 5 minutes using only a 3/4" wrench. Easy to install. 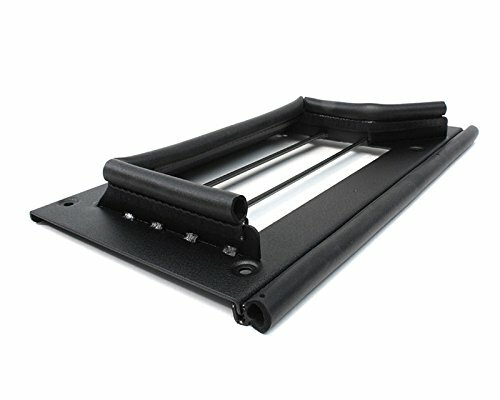 It can be installed in less than 5 minutes using only a 3/4 wrench. 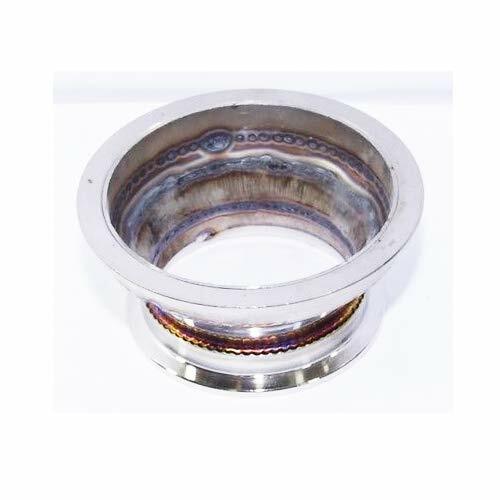 for 4 V-Band Flange to 3 V-Band Flange,all sizes are inner sizes. Will work on all Ecoboost vehicles with the 1.5 or 1.6 turbo. Safe to run on Euro-Spec vehicles! 1.5 installs directly on top of charge piping near the firewall. For adjustability this piece has nine threaded holes, we ship this piece with 3 of the holes open. For fine tuning, remove and add screws as desired to reach the amount of venting or recirculation you are looking for. Will work on all Ecoboost vehicles with the 1.5 or 1.6 turbo. Safe to run on Euro-Spec vehicles! For adjustability this piece has nine threaded holes, we ship this piece with 3 of the holes open. For fine tuning, remove and add screws as desired to reach the amount of venting or recirculation you are looking for. Are you having trouble with availability in regards to the other turbo outlets / o2 housings on the market? Are you concerned about the quality of the lower cost options? We found ourselves in the same situation, but we have finally found an affordable turbo outlet that meets our strict requirements in regards to quality! As you can see the welding and material selection is top notch! 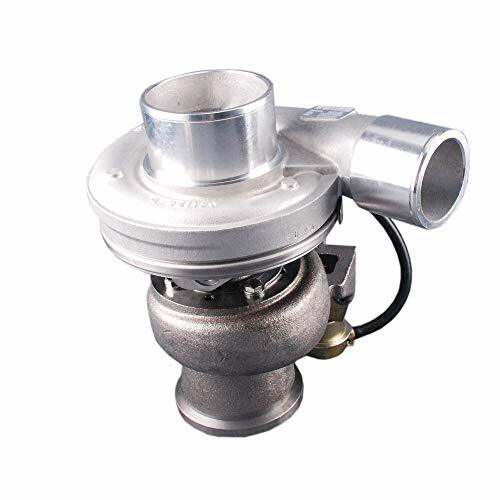 The OEM turbo outlet / o2 housing hardware and gaskets are reusable and are generally of better quality than those included with competing products on the market. As such, we have chosen not to include replacements in an effort to keep costs down. Hand made in the USA by our talented staff. As you can see the welding and material selection is top notch! 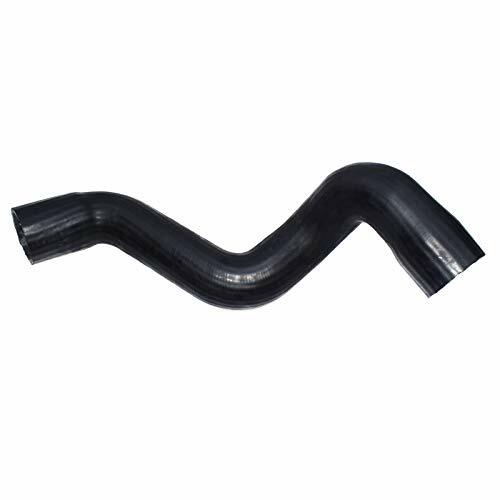 The OEM turbo outlet / o2 housing hardware and gaskets are reusable and are generally of better quality than those included with competing products on the market. As such, we have chosen not to include replacements in an effort to keep costs down. 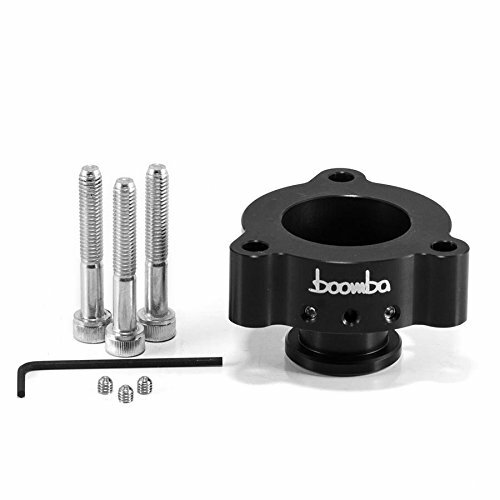 Boomba Racing is proud to announce our Boost Operated Blow Off Valve for the 2014+ Fiesta ST. This kit will replace your weak and leaky OEM bypass valve in favor of something much more up to the job. 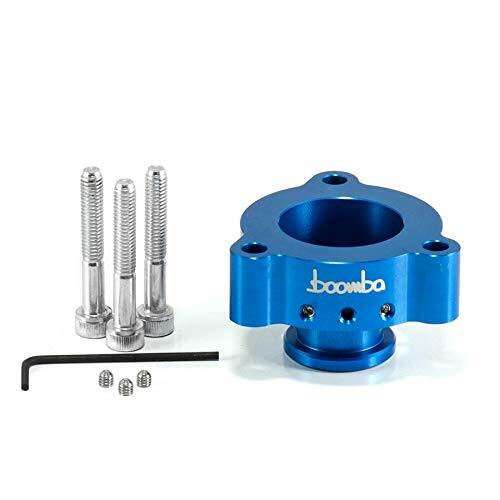 The Boomba Racing Boost Operated Blow Off Valve comes with everything you need to install on your vehicle for a true plug and play installation. It features 100% vent to atmosphere operation and billet aluminum construction with a brass piston to ensure leak-free operation for years to come. 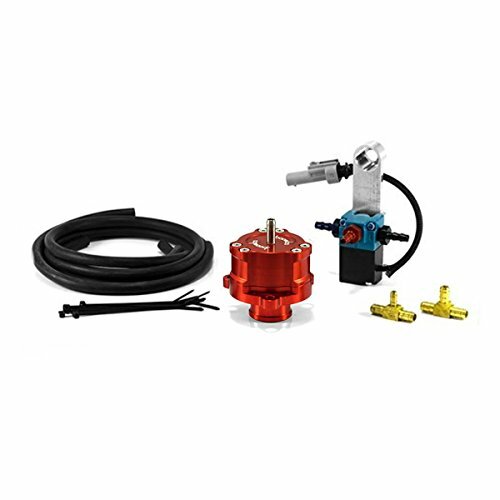 The Boomba Blow Off Valve uses an ECU controlled solenoid that provides the blow off valve with both vacuum and boost pressure. Using boost to close the valve keeps it sealed no matter what the boost pressure is. The higher the amount of pressure, the stronger force there is keeping the valve closed. Vacuum is used to keep the valve open in this configuration. This with the combination of the ECU controlled solenoid prevents the valve from any fluttering or premature opening. This also works to eliminate any unwanted pressure spikes during venting. The purpose of this blow off valve is to prevent turbo lag and allow the car to hold boost in a steadier manner. When the throttle plate closes, excess boost pressure is vented so that the turbo can continue to spin during higher RPMs rather than surge from backpressure. The blow off valve is tested to over 75 PSI to ensure leak-free operation. The electrical connection on the provided solenoid matches right up with your factory wiring and there is no need to splice or trick your ECU with resistors. Don t hesitate; pick up lost power by replacing your factory BPV with a Boomba BOV, today! 1. 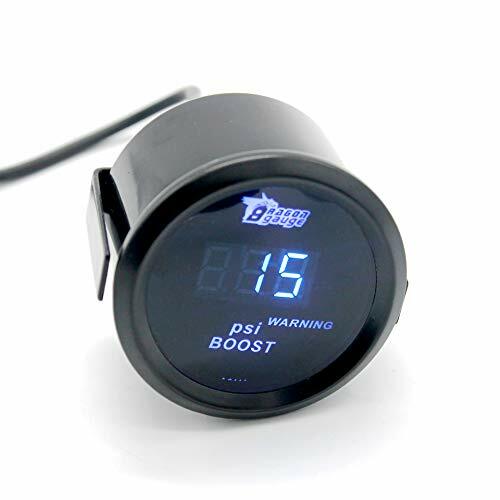 A digital booster with blue digital LED readings for easy viewing of all angles in any lighting condition. 2. Each gauge includes an electronic transmitter and a 6-foot PVC hose and a T-joint. 4. Style: Blue digital reading. 5. Power: 12V / MAX 0.3A. 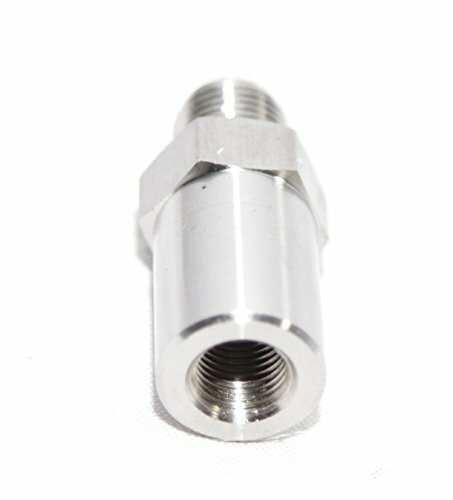 Steel Adapter for 4 V-Band Flange to 3.5 V-Band Flange,All sizes are inner sizes. Designed to be mounted inside the cabin and allowed to boost adjustment. We offer 90 days warranty days from the purchase date. If there's something wrong with the product (wrong item, defective or broken or missing ), please send message to us to solve the problems firstly , we will help you. Please don't give bad feedback or open the case without any communication.Thank you very much! It is appreciate that if you can give a good feedback for us. Good quality with 12-Month warranty. Returns accepted. We usually ship within 1 business days after your payment.8-18 days to reach the USA,Canada and Puerto Rico. Aftermarket item, exactly same function as original. Before ordering,Please check OEM Part Number and Application.To be sure it is fit for your car!